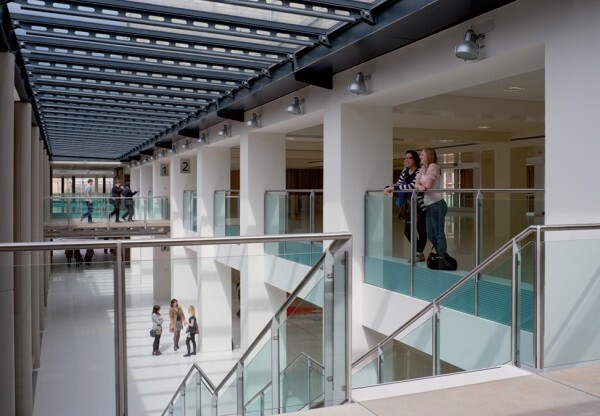 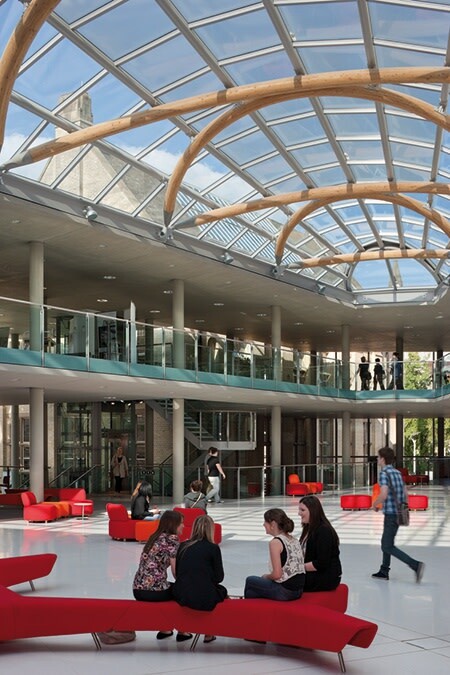 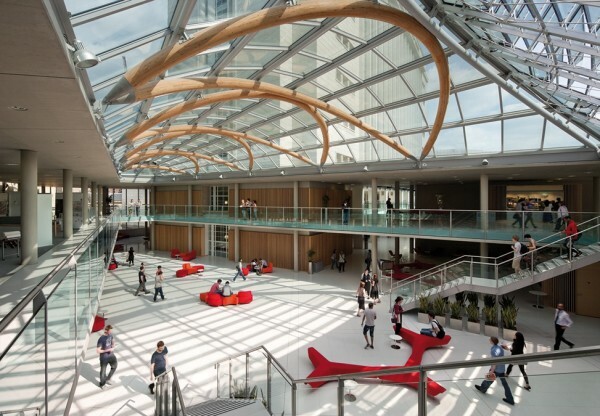 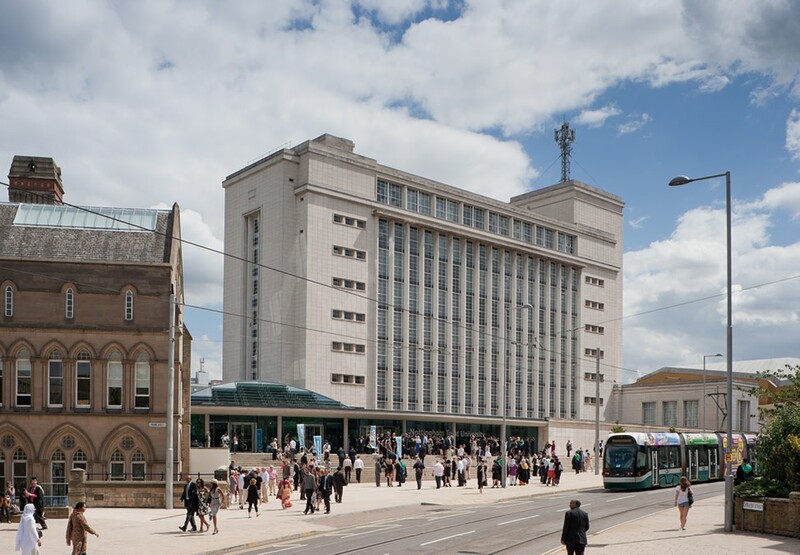 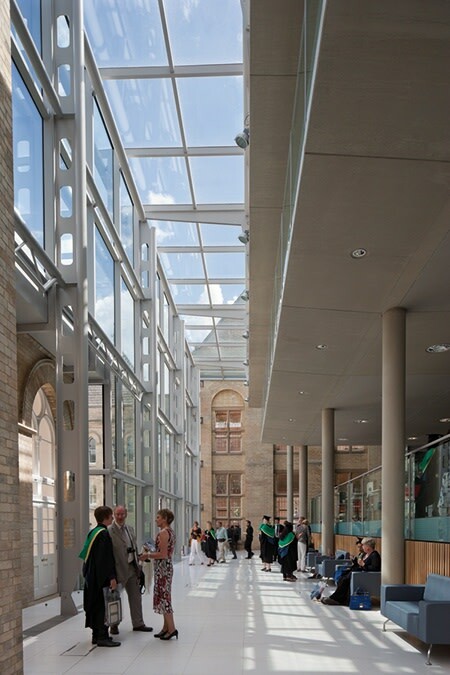 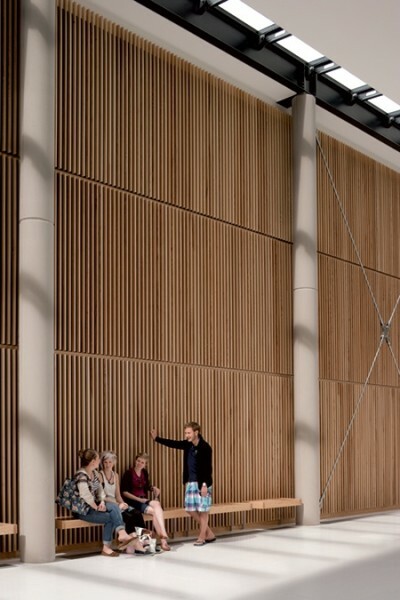 The redevelopment of the 1877 Arkwright and 1950 Newton Buildings for the University has created a vibrant new social heart for the city-centre campus. 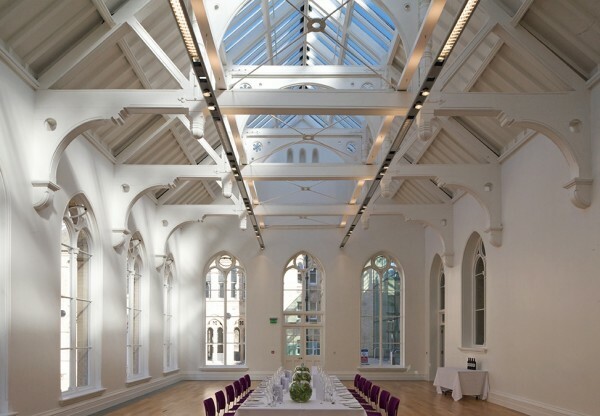 The project secured the future of both historically significant Grade II* listed buildings, providing extensive renovation and modernisation to their dated, inefficient and incoherent spaces. 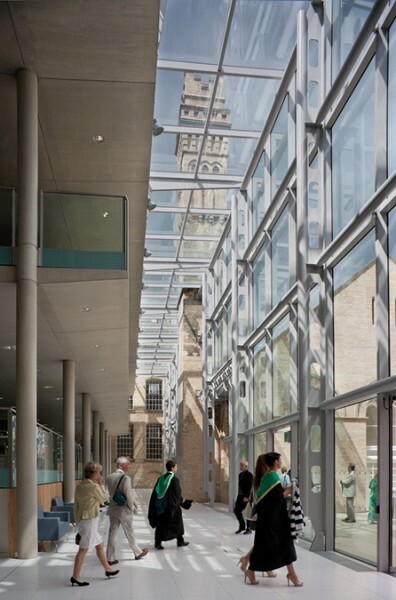 It then utilised the residual space between the two buildings to provide a new main entrance and gateway for the surrounding community as well as additional social and teaching spaces opening onto a covered central court and link building. 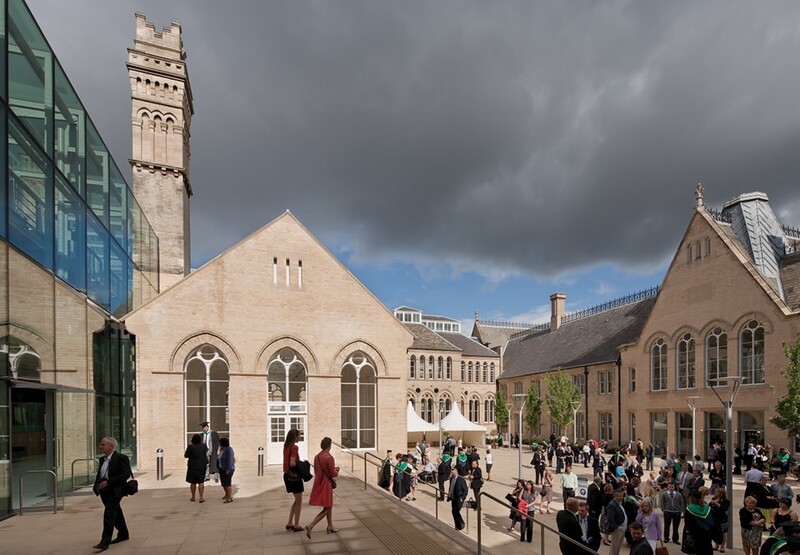 A new external quadrangle has been carefully created through the partial demolition of the existing buildings to provide a new communal lung for the University, the first and only open space for the campus. 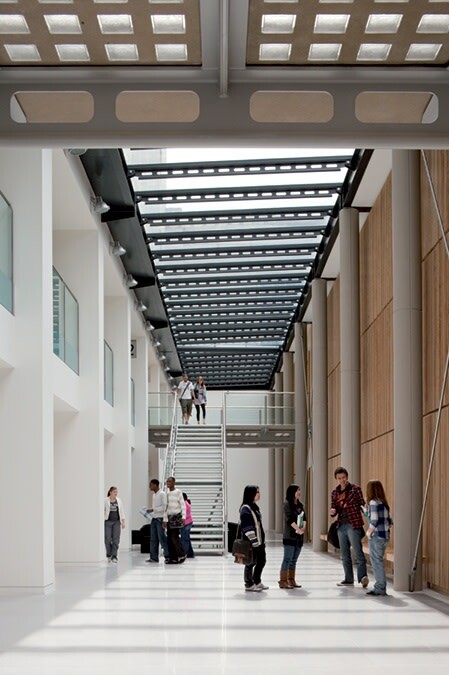 Redundant engineering workshops occupying the lower two levels of the Newton Building have been transformed into a suite of state-of-the-art lecture theatres and teaching rooms, defining a large central forum space designed to promote continuous informal academic interaction and study that flows into the space at all levels. 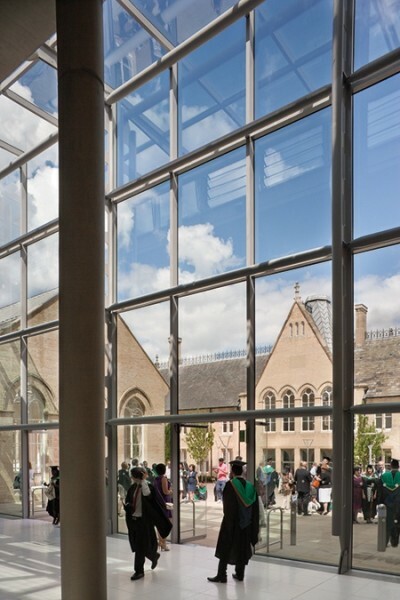 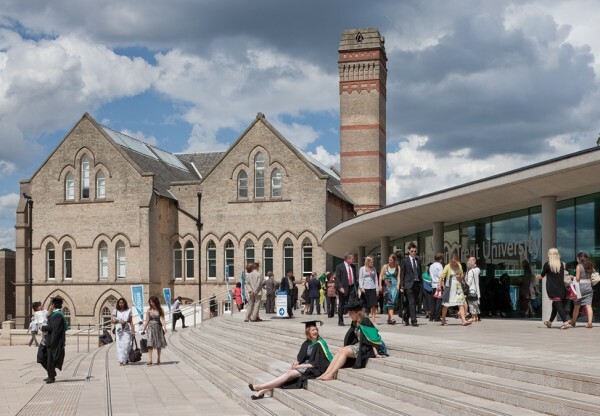 An important component of this project was the desire of the University to provide a new unified identity to its students and the community at large, while still maintaining and enhancing as many of the existing buildings and features on the site due to cost and environmental concerns.